Elementary isn’t ending anytime soon. Deadline reports series creator Rob Doherty has signed a three-year deal with the show’s studio, CBS Television Studios. CBS has already renewed the detective drama for a fifth season, which will premiere later this year. With the new deal, Doherty will continue as the showrunner for Elementary. According to CBS chief Leslie Moonves, the Sherlock Holmes update made CBS an estimated $80 million in profit last year. What do you think? Do you watch Elementary? How many more seasons do you think the show should run for? More about: CBS TV shows: canceled or renewed?, Elementary, Elementary: canceled or renewed? Wait, they signed a 3-year deal but just recently (2017), it was one of the last shows to be announced renewed. If a 3-year deal is in place shouldn’t it been one of the first shows to be announced renewed, or is the renewal of the show year to year is not guaranteed despite having a multi-year deal? Best drama show on TV! I am so happy they renew Elementary. It has everything you would want in series. Drama ,intrigued, humor, and mystery. The actors that play these characters are absolutely remarkable. 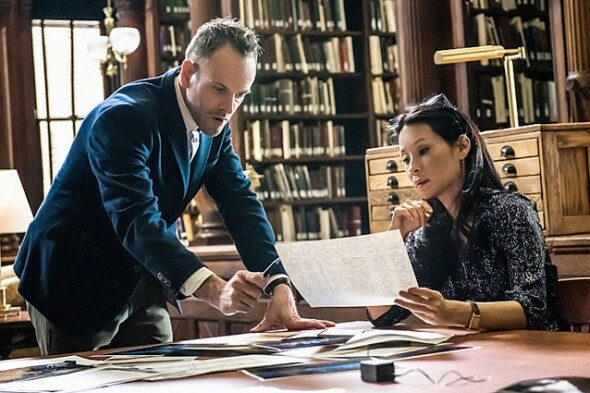 I would have been really disappointed if they had to cancel the show because there is absolutely nothing that comes close to Elementary. I can’t wait for the next season to start. I have never watched an episode of this, and I don’t intend to now they cancelled Person of Interest, CBS’s numbers up! Thrilled at the news! I love the Sherlock and Joan chemistry. Plus you never know what he’s going to be doing around the house. Ask “Sherlock” to speak up and not mumble so much. Great actor just seems to be talking to his buttons too much. Problem is that as a “Method” actor he is portraying the character as he was originally written in the books. I find it hard to believe this show will extend past next season unless the ratings get over a 1.1 or higher. The only reason this show is back is because Tribune Broadcasting is paying CBS $3 million per episode for each episode next season as part of a syndication deal. CBS will have filled their episode quota by the end of next season, and this deal has been a disaster for Tribune Broadcasting.